I greet you! 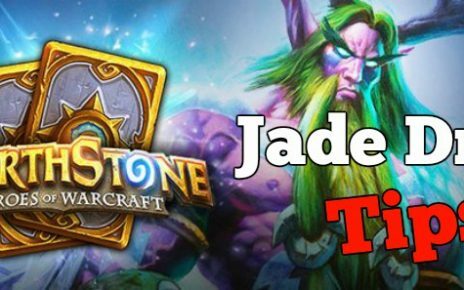 Here we are again and we will be building our third Hearthstone Tier 2 deck list. This one is somewhat of a unique pack as this type of Aggro deck was very strong back in the day. It got knocked down to being unplayable a couple of expansions ago due to the lack of cards those expansions offered. It got a resurgence recently when the Frozen Throne expansion came out. It is the almighty Zoo Warlock. Now you ask me, why is it called Zoo? It is a throwback term to Magic the Gathering because there used to be an aggro deck that uses cheap minions and they are all animals. Like its MTG version, it has an abundance of very cheap yet effective creatures. Now, before we get started, there is also one more bit of information I’d like you to know. 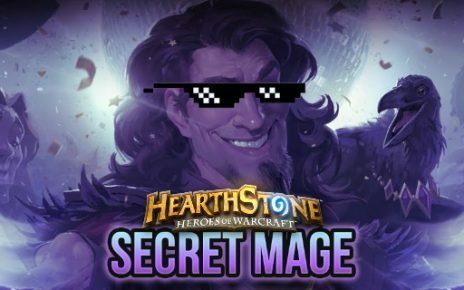 This deck will be used by Baize in the Summer Hearthstone Championships, so we all know that this is a very viable package for Ladder and Tournament play. Now let’s get started! Out of all the decks, we have built, this is one of the cheapest full lists that we have. What I mean by full lists is that this is not a stripped down, budget version. The cost of this will be around 6800 Arcane Dust, but you would need to complete the whole Karazhan Solo Adventure as two of the cards in this list are rewards from the last wing of Karazhan. If you have not finished it yet, I encourage you to do so as most of those reward cards will show up in other builds as well. Now, for the Legendaries, we will need Patches the Pirate, Prince Keleseth and Bloodreaver Gul’Dan. You can get Gul’Dan and Prince Keleseth from the new expansion and Patches from Gadgetzan. Now for the Epics and Rares, we have a pair of Southsea Captains for the Epics. For the Rares, we will need a pair of Bloodsail Corsairs, Saronite Chain Gangs, Despicable Dreadlords and Doomguards. Most of these are from Classic packs except for the Saronite Chain Gang and Despicable Dreadlord from the new expansion. Now the Commons are in abundance here. These are a pair of Acherus Veterans, Fire Fly, Flame Imps, Malchezaar’s Imps, Darkshire Councilmen and Bonemares. 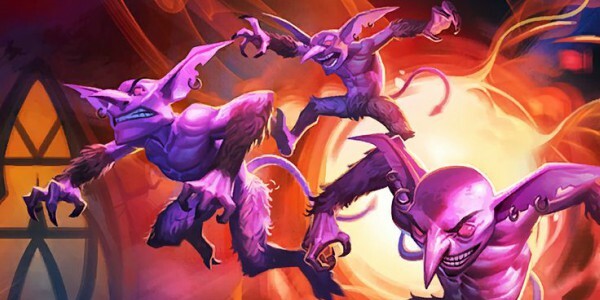 It is imperative that you finish the Karazhan adventure since that is the only place where you can get Malchezaar’s Imps. They are a crucial part of this list as they provide card draw. The last part of this build is the Basic cards. You would need 1 Mortal Coil and a pair of Voidwalkers and Soulfires. Playing this deck is fairly simple. You would need to assert your dominance early in the game by flooding the board with your low cost minions. 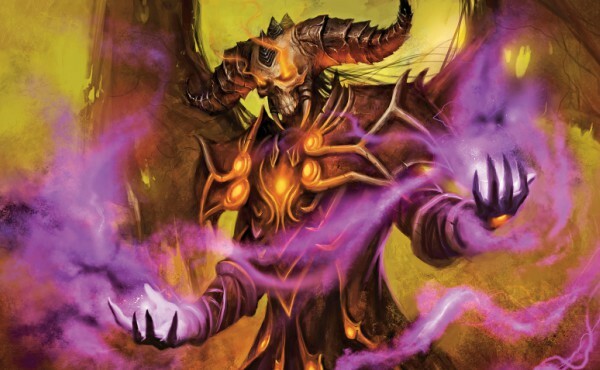 The Warlock’s hero power is arguably the best hero power in the game. For the price of 2 health, you can draw a card from your deck. This gives you an endless supply of small creatures to summon. The more you can summon per turn, the better. You also need to trade fairly well to keep the board clean. You have low cost minions with high health for this purpose. If your opponent has a weapon, use Bloodsail Corsair to remove a durability from it. It will also summon Patches and place him on your board for free. Always keep Prince Keleseth in your hand at the start of the match. If you can coin him out, do so. That way all other minions you have on your deck will get buffed and will be very hard to remove. The Darkshire Councilmen gets buffed every single time you summon a minion. Use this to your advantage. If you have him on the board, then you have a 3 drop and 4 one drops in your hand, It is better to summon those four 1 drops as Darkshire Councilman gets buffed with +1 attack every time you summon a minion. It has very good synergy with Saronite Chain Gang too as whenever you summon Saronite, you get two copies of it on the board. Those will be taunted characters as well so they will protect you from getting attacked directly in your face. Despicable Dreadlords will help you in trading well with opponents as they will deal 1 damage to all minions at the end of your turn. Now that the board is clear, what do you do? Attack their face of course. Once you have dominated the board early on, you will have a lot of small minions on your board. Just keep attacking your opponent’s face until he dies. However, if your opponent manages to stay alive during all this time? Doomguard is your best friend. He is a charge minion, which means he can attack right away after playing him. Use Doomguard as either a trading tool by removing a hard to kill minion on the board or as a finisher as he deals 5 damage to the face. If the game ever reaches to the point that it goes over turn 10 and you got your board wiped out, do not fret. Bloodreaver Gul’dan will resurrect all the demons that have already died. That means, all of your minions such as Doomguard, Dreadlords and Darkshire Councilmen for example return to your board for free. You can then finish off your opponent that way while also giving yourself some armor for survivability. Now, that concludes this Hearthstone aggro deck building adventure. 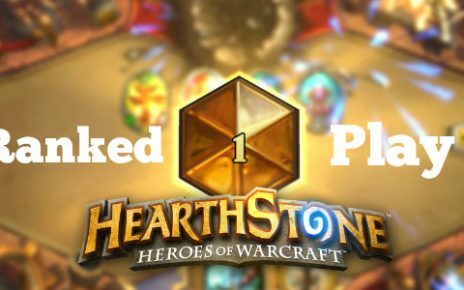 Just play with the Zoo Warlock and experiment on how to win games. Just remember some of these tips, however. Always trade minions that you will come out ahead. It is better to trade your 3/2 character for a 2/3 and keep the rest of your 1/2 creatures on the board than use those 1/2 minions just because you want the one with the bigger attack to survive. The wider the board you have, the better. Secondly, always use your hero power if you have the chance to use it. You will need all those cards in your hand, and your hero power is the best tool to use to get those cards you need. Do all these things, and soon you will be the stuff of nightmares whenever your opponent sees you. Skinbet.io Review – It Will Be Hard to Withdraw Your Skins!